Blair and I just had a gamer bucket list item scratched off! 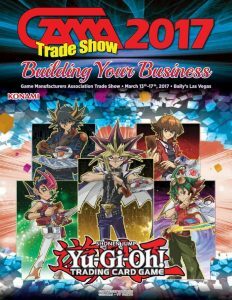 We just returned from the GAMA Trade Show in Las Vegas. Hosted by the Game Manufacturers Association, this five day show focuses on games from the business perspective: designers, manufacturers, and game stores are all represented. Three days of the show are focused on learning. There’s a Designer’s Track aimed at game designers. There’s also a few panels focused on game published. The bulk of the learning is aimed at game stores and the selling of games. Blair and I were attending on behalf of Pastime Sports & Games, so we focused on the game store aspect. 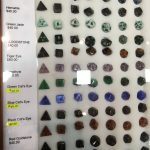 Forging the Fires of Awesome – Paul Butler discussed what makes certain games a success in a game store while games a flop. There was a distinct focus on the power of handselling, merchandizing, and demo tables. Business Plan – Presented by Travis Parry, this session looked at business planning for game stores. 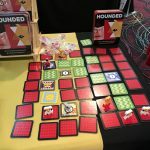 Selling the Fun, Not the Meeple – David Steltenkamp focused on handselling strategies. In particular, selling the emotional benefits of a game, rather that the game’s parts. Just a little excited to be at the GAMA Trade Show. Financing 101 – Presented by David Steltenkamp and Aaron Witten, this session looked at the basics of store finances. I’ve never done this part of store business, so it was a fascinating look into profit & loss statements, balance sheets, etc. 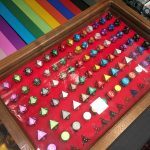 RPG Evolution – Paul Butler examined the role play game landscape beyond D&D and Pathfinder. Including fostering a community, stocking a diverse range of books, barriers of entry, and other opportunities to grow an RPG section. Lights, Camera, Game On! – Tony Cox, Scott Neal, and Stephen Kirwan looked at streaming as a new advertising channel for game stores. Topics discussed included content ideas, tips and tricks, and the benefits to the bottom line. Challenges of a Cooperative Store – Mike Kistler tackled organizational leadership of a game store. Focus on store values and mission, staff training, setting policies and following through. 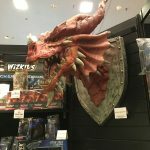 International Tabletop Day – Ivan Van Norman discussed what’s planned for this year’s ITTD and how it can help game stores. Checking out Dungeon Crawl Classics in the RPG room. Then there was a day and a half dedicated to upcoming game releases. Publishers got to preview their new new games for 2018. Some of the presentations were powerpoints, where others gave you a chance to demo the games. There were so many panels that Blair and I had to divide and conquer. 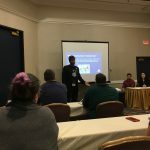 I got to attend presentations by CMON, Paizo Organized Play, Asmodee, Upper Deck, AEG, Paizo, and Mayfair Games. A half day of the show is dedicated to the Exhibit Hall. Game publishers can setup booths for attendees to actually see some of the games, get demos, and talk one-on-one to publishers about the games. It’s also an opportunity for stores to place orders at trade show prices. Yamatai (Asmodee) – Feels like Five Tribes, but is a heavier European-style game. Pandemic Legacy Season 2 (Asmodee) – Enough said. Legendary X-Men (Upper Deck) – A larger expansion for Legendary deck building game. Unicornus Knights (AEG) – A cooperative adventure game by Seiji Kanai, the creator of Love Letter. Oath of the Brotherhood (AEG) – A worker placement game like Lords of Waterdeep, but pirate themed! 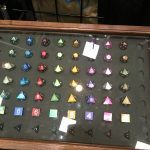 The Captain is Dead (AEG) – A cooperative space-themed game. Essentially Star Trek meets Pandemic. Blair being a goof with Jason Bulmahn. 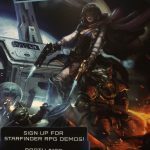 Starfinder (Paizo) – A new scifi-theme RPG from the creators of Pathfinder. 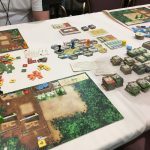 Colonists (Mayfair) – An epic strategy and worker placement game. This can take five hours for a whole game, but you can also just play certain eras for a shorter game. In the evenings, attendees have the opportunity to play game demos. Our favourite was the RPG room. 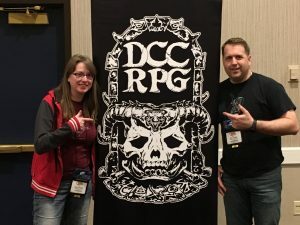 We got to participate in a demo of Dungeon Crawl Classics. 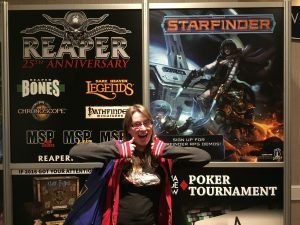 We also had the chance to sign up for a Starfinder demo. We were taken to a small conference room, just the right size for an RPG game. 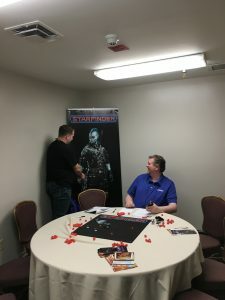 Paizo game designer Jason Bulmahn ran us through starship combat for the game. I got to play the engineer (surprise, surprise). Not only did we get a preview of a game we’re looking forward too, but we got to play it with the creator of Pathfinder, a game we love! Overall this was a fantastic trip!